In 2001, 1.9 million tenants rented a home for a private landlord – accounting for 9% of all households, says the Office of National Statistics. 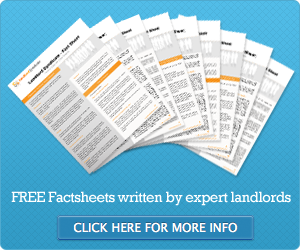 The number surged to 3.6 million – 15% of households – by 2011, while another 698,000 households live rent free. The 2011 census also showed the number of private renters has overtaken the number of social tenants, with 4.215 million people renting from a private landlord or letting agent, compared with 4.118 million living in a council or housing authority home. In percentages, 18% rent privately, while 17% are social tenants. In 2001, the figures showed 12% were private tenants, while 19% of households had a social landlord. Ownership is still the dominant form of tenure, with 64% (14.9 million) of households owning their own home in 2011, either with a mortgage or loan, or outright. Home ownership has dropped 4% since 2001, but more people own their home outright, a rise of 2% from 29% (6.4 million) to 31% (7.2 million). The number of married couples has slipped from 7.9 million (37%) to 7.7 million (33%), while the number of cohabiting couples has risen from 1.7 million (8%) to 2.2 million (10%).